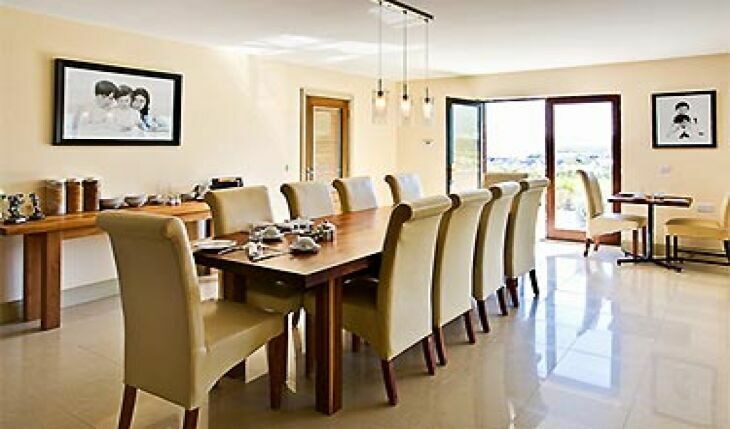 Simply unrivalled with contemporary furnishings and gentle relaxing hues, contrasting woods coupled with luxurious accommodation, breathtaking views and completely run on alternative energy (solar and geothermal, under floor heating) - all make this guest accommodation genuinely unique. 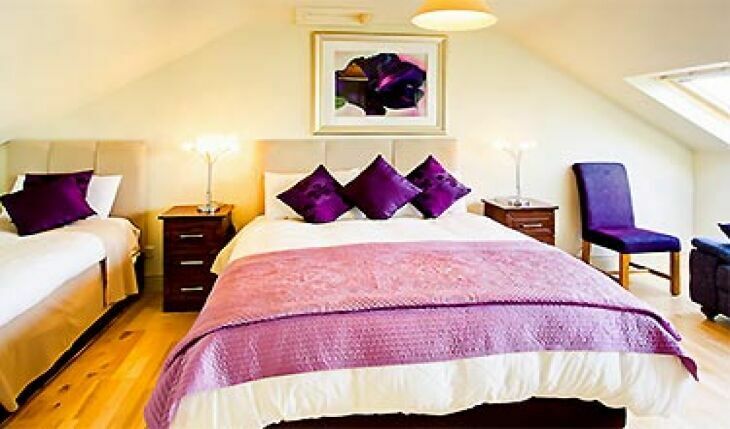 Luxuriously styled furnishings and detailed, use of native slate from one of the worlds most renowned slate mines. 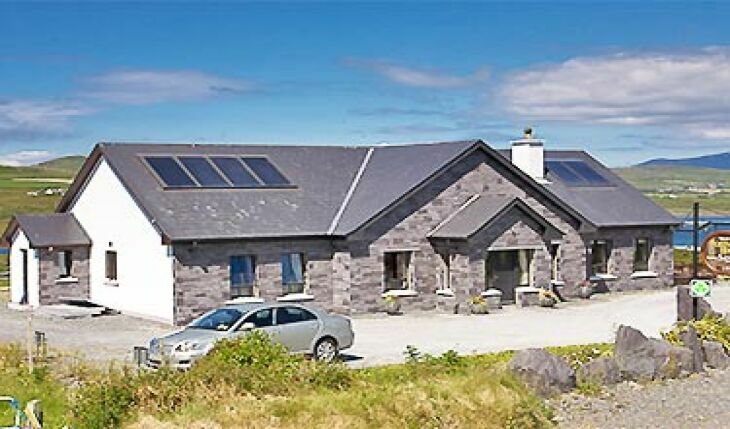 Valentia Slate makes this a special haven that you will find hard to leave. 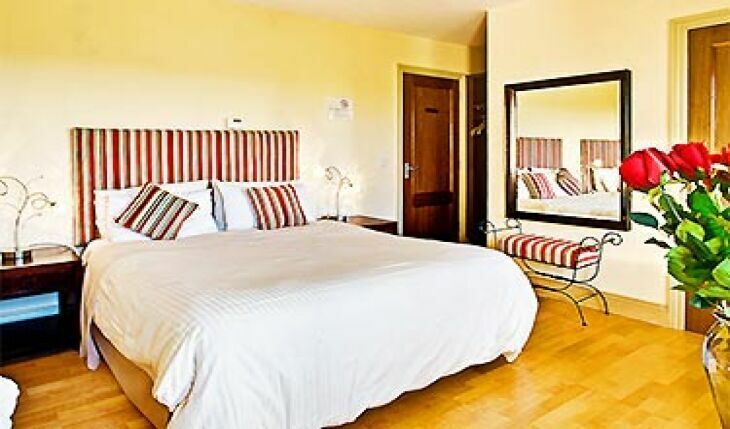 All rooms have a wall mounted moveable LCD TV to watch whether in bed or on the couch by the window, Sky Satellite, Tea/Coffee facilities, hairdryer, power showers (some have shower columns with body jets) even the chocolate on your pillow as standard while phone and internet are by request. The Geothermal heating, which is thermostatically controlled, can be adjusted to suit by you in your room. I and my girlfriend Debbie, who was visiting from Arizona I'm from Belfast stayed during the first week of July 2018 as part of our trip to visit Skellig Michael. 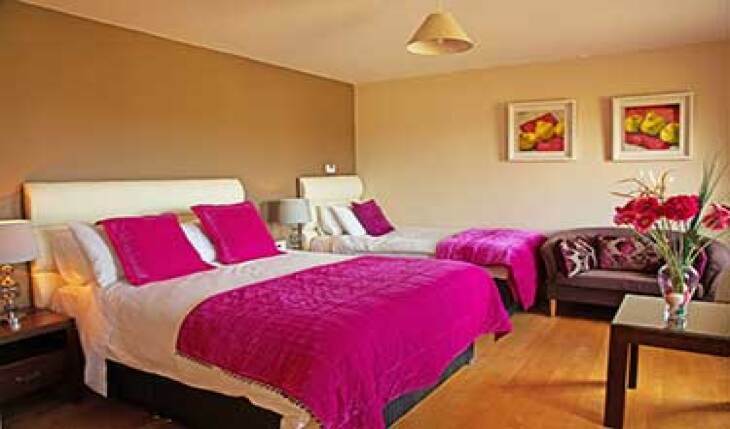 Ample parking area, good bedroom with en suite and Monica makes an excellent hearty Irish breakfast. She was very friendly and honestly, I couldn't recommend a better base from which to go on your Skellig Michael adventure. You won't be disappointed. 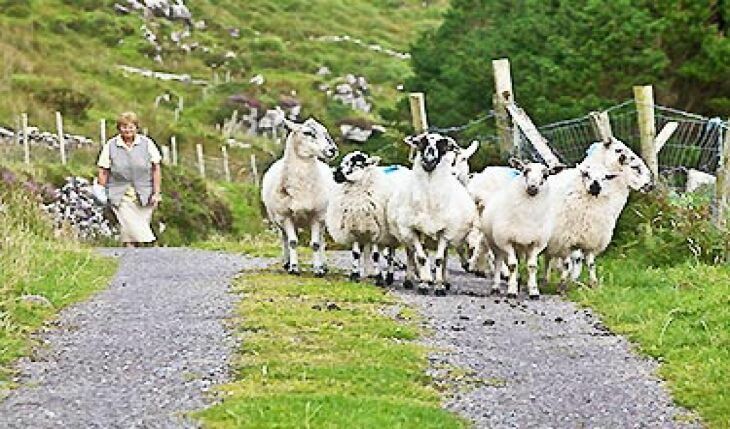 Portmagee Heights B&B is in a beautiful pastoral setting and just a 3-minute drive from the village of Portmagee. The inn keeper, Monica, was so kind and incredibly accommodating! 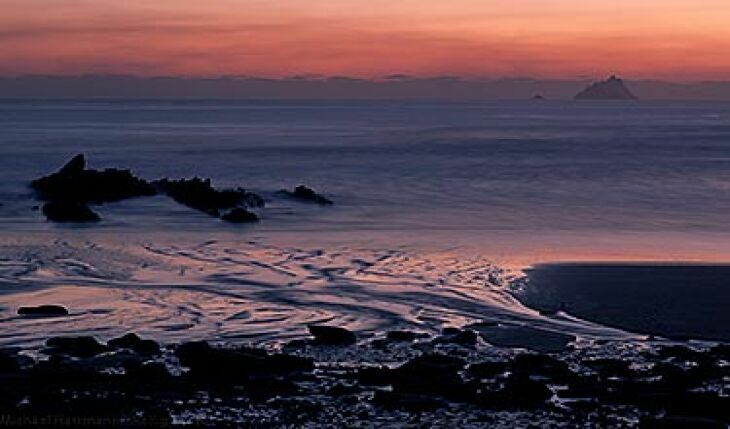 This is the perfect place to stay if you're planning to visit Skellig Michael, which we did and it was the highlight of our trip! Could use some more patio furniture. We thoroughly enjoyed our stay at this beautiful B&B. The rooms were spacious and very comfortable. Our host Monica was very helpful and friendly. The setting of this B&B is absolutely breathtaking. 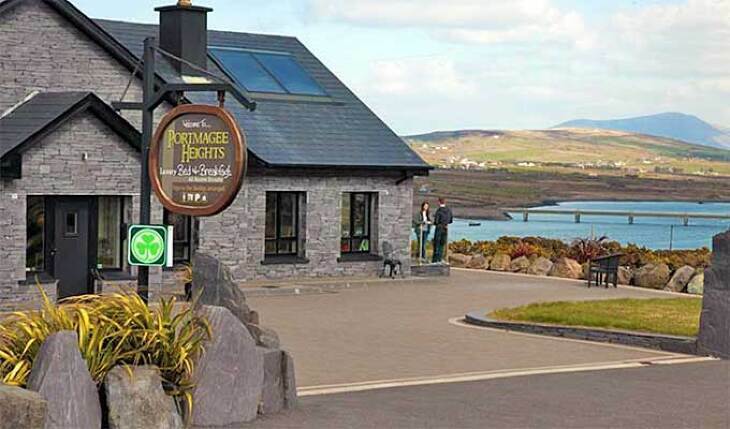 We would highly recommend this B&B as a must if you visit Portmagee. 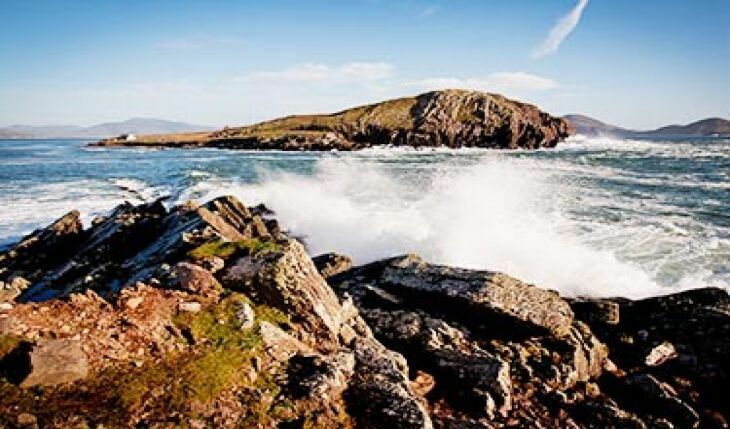 Just 5 minutes walk from Portmagee village; Portmagee Heights is situated on Portmagee's most enviable location with unobstructed views overlooking Portmagee Village, Valentia Island and the entire harbour. 600m from Portmagee Village taking St. Finian's Bay Road at the pier in Portmagee.